KINGSFORD — Simply ringing a bell for a couple hours can help feed a family of four for a week. 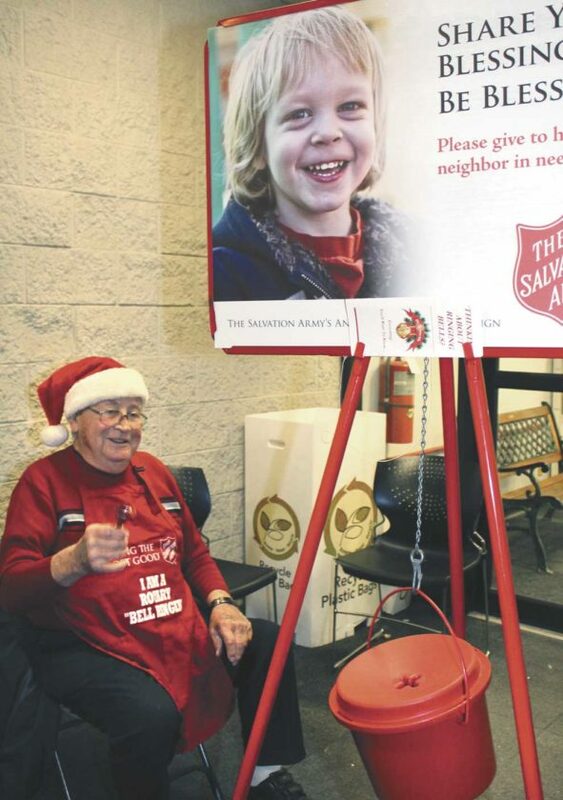 That’s according to officials from the Salvation Army Bread of Life Assistance Center, which kicks off its annual Red Kettle Campaign on Monday and won’t stop making those bells clang until Dec. 23. “Because of the kindness of the local community and ringers taking the time out of their busy schedules each year, we are able to continue meeting the needs of those we have been called to serve,” said Debbie Floriano, kettle campaign coordinator. The season has 1,400 two-hour shifts to fill, which means a lot of volunteer ringers. The first couple weeks can be the toughest getting volunteers. “What I noticed and believe, people are getting set for their own holidays, and once they are done then they are starting to give back,” said Tara Blagec, Salvation Army director. Only 490 spots got filled for the whole campaign last year. “That’s a lot time the kettles were not in the stores,” she said. Kettles and bellringers are placed when possible at both entrances of Walmart and Shopko, the Super One exit, Econo Foods entrance, Pat’s Foods in Norway and Marcoullier’s in Niagara, Wis.
Shopko fills up first, she noted, while Walmart can be a little harder to get volunteers at Walmart because it is an outside location. Blagec encourages everyone to give it a try, no matter the location — and don’t be intimidated by the bell or bucket. Many find once they do take up the bell, they love it, Floriano said. They also encourage groups or even individuals to make it fun. School students can make it a competition. 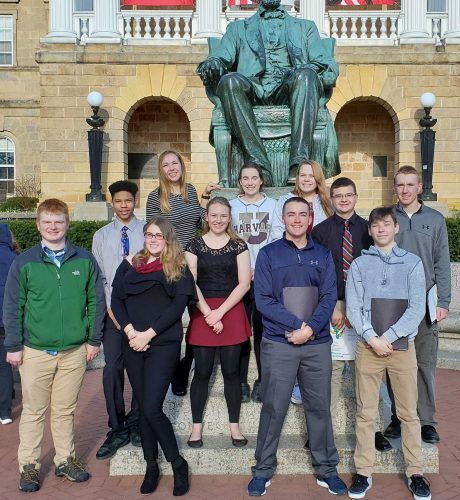 Challenge someone or another team and see who can raise the most money — such as the Norway High School varsity football team vs. Iron Mountain High School varsity football teams, or cheerleaders vs. boys basketball players, Blagec suggests. Many business owners in the past have given their employees time off to ring and even filled a location’s time slots for the entire day, which is 10 a.m. to 8 p.m.
Blagec notes the local Salvation Army doesn’t leave their kettles unattended as in larger cities. Also, funds collected during the campaign remain in that county, she said. The Salvation Army Bread of Life Assistance Center in Kingsford helps with emergency expenses for a variety of needs, such as utility assistance, food, gasoline, appliances or furnitures, prescription assistance, work attire, bus fare, eyeglasses and Pathway of Hope program. “The Pathway program has had much success, helping many clients make progress towards self-sufficiency, with many not returning,” Blagec said. The local Salvation Army last year took in $79,138 for the holiday fundraiser, which started Oct. 1. “This money goes fast – there are a lot of families in need in Dickinson County,” Blagec said. Ringers can be any age — they encourage parents to make it a family event and even get the young ones involved. For more information or to sign up, contact Floriano at 906-774-7578 or email to debbie@florianosearch.com.